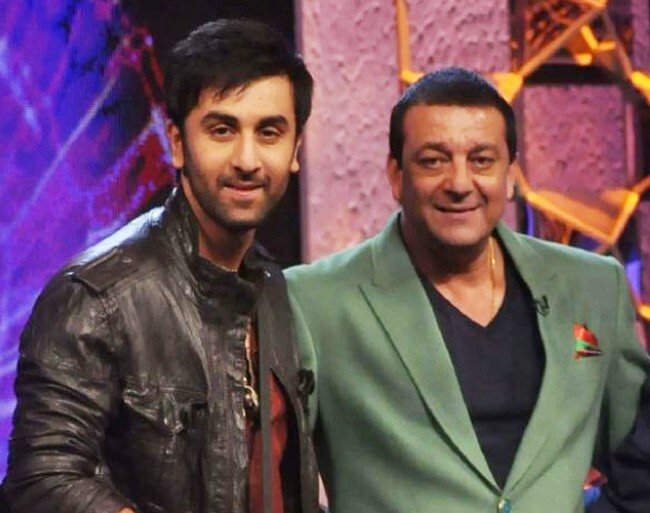 Mumbai (PTI): Ranbir Kapoor says the upcoming biopic on Sanjay Dutt will deal with both the highs and lows of the actor’s life. Ranbir says Dutt has been very gracious in providing insights about his life story in an honest way for the biopic being helmed by Rajkumar Hirani. “He hasn’t been a hypocrite about it (his life). So it’s not a propaganda film trying to portray him as God or something. “We are trying to show a very human side of Sanjay Dutt, his perils, his downfall, his will to fight, his time in jail, terrorism charges, his drug phase, how he handled his mother’s death two days before the release of his debut film, his relationship with his father. These were human conflicts in his life,” Ranbir told PTI. Ranbir, who plays Dutt in the movie, says doing the biopic was daunting initially. “He is such a relevant person even today. He is so much loved even today. He is controversial. But when you have Rajkumar Hirani as the director and Abhijat Joshi as the writer and the character like Sanjay Dutt, you are somewhere cushioned,” he says. From getting into the skin of the character to getting the body language right, the “Jagga Jasoos” star had to put in a lot of hard work to get every aspect of Dutt correct. Though Ranbir seems to have got the look right, he is extremely nervous about the film. “I don’t know if I have nailed it or not (referring to the film). I was very inspired (doing this film). We have a few days left now for the film. It’s a very new me, so I am excited to see how the audience reacts. It should be out on March 30 next year,” he says. There were rumours that the “Khalnayak” track will be recreated in the biopic but Ranbir says that’s not true. “We have not touched upon the ‘Khalnayak’ phase. This film doesn’t talk about Sanjay Dutt the hero, but Sanjay Dutt’s life. We have touched upon his few films like the first one ‘Rocky’, ‘Munnabhai MBBS’,” he says. The film also features Manisha Koirala as late Nargis Dutt, Paresh Rawal as Sunil Dutt and Dia Mirza as Dutt’s present wife Manyata.